Sunflowers in full bloom is a glorious sight. There’s a certain amount of excitement that surrounds the moment a sunflower first begins to sprout; marking the beginnings of a very tall journey till the moment the flower proudly shines. 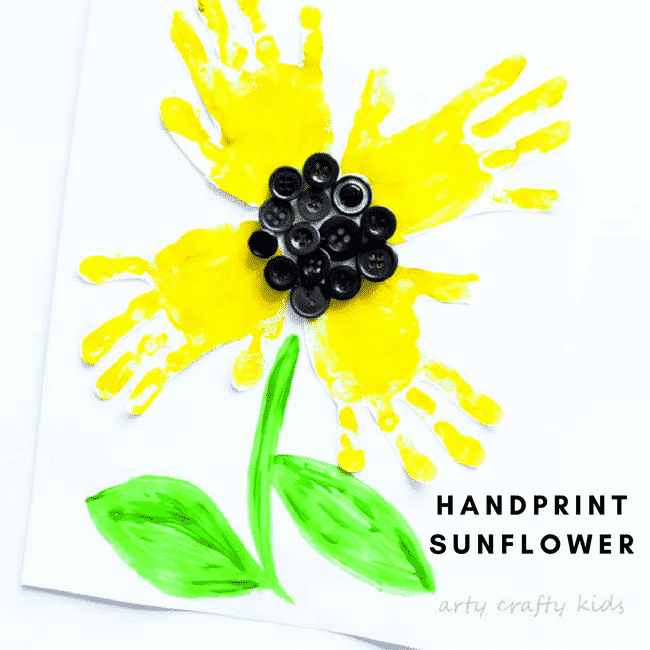 Every year my kids enjoy the wonder of a new sunflower and todays Easy Handprint Sunflower Craft is a fitting tribute to what’s become a seasonal tradition. This is a wonderful craft for children big and small, and today’s example has been put together by my 7 year-old. I love the addition of jewels on the fingertips. To recreate this craft at home, all you need is a few basic materials and a pair of willing hands. This post contains affiliates to recommended products. To begin, draw around a small round object positioned in the centre of the card. This is to serve as a guidance for positioning the handprints and will become the textured centre of the sunflower. 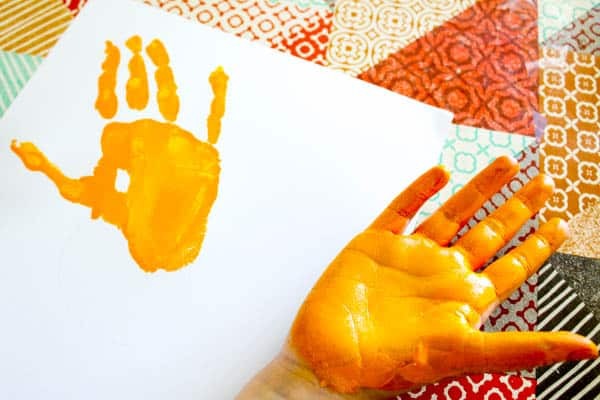 Cover the hand in paint using a brush or sponge. I often find that the coverage is better when applied with a sponge, but work with the materials you have available. Work around the circumference of the circle with multiple prints. We found that 4 prints work well, as it’s nice to keep the prints clear and defined. However, my 7 year-old eventually felt that her sunflower needed more, so it’s down to your child’s creative preferences. 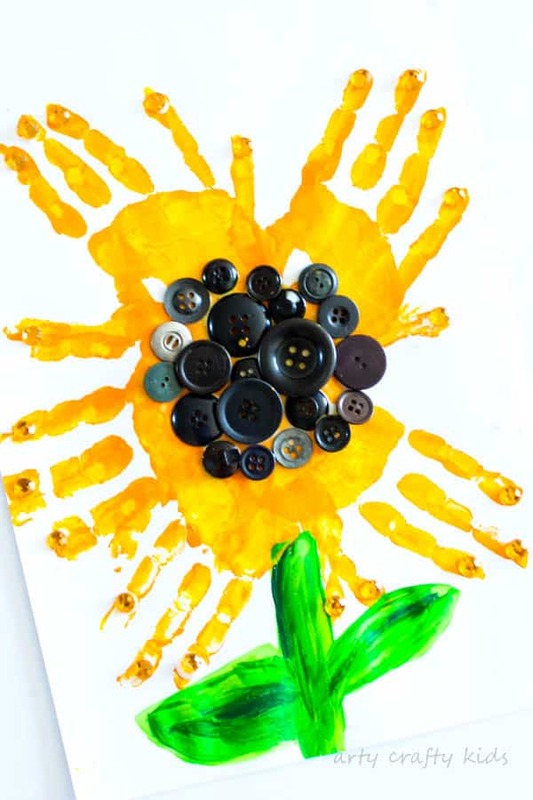 Add a thick layer of PVA glue to the centre of the sunflower and fill with black buttons. 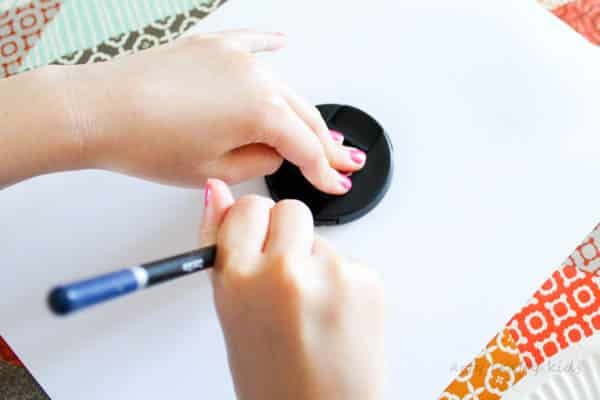 If you do not have buttons, use black tissue paper instead. Alternatively, you could use real sunflower seeds! Finish off with a green stem and leaves. 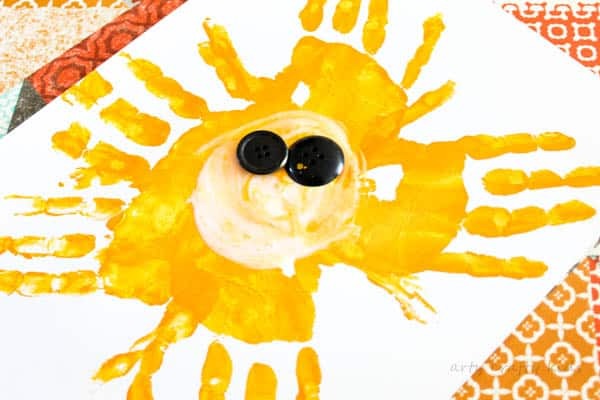 If you are trying this craft with younger children, I would recommend creating the prints on a separate piece of card – if one or two of the prints don’t work out, they can always be repeated. Once they’re dry, cut out the prints and stick onto the card, again following the circumference of the circle. 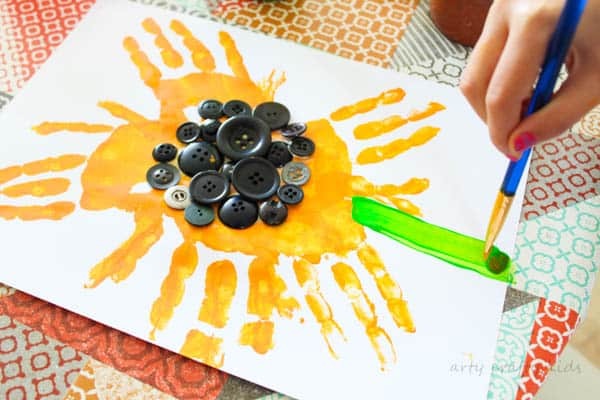 I hope you’ve enjoyed our sunflower craft. 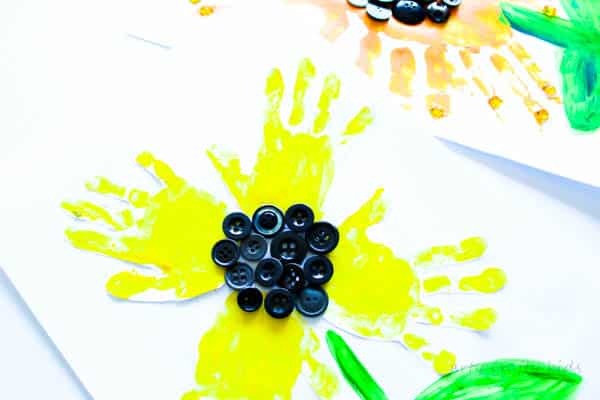 For more Sunflower themed craftiness, take a look at our black glue Sunflower, Sunflower Colouring Page and for a footprint flower, check out our pretty Bluebells!